ORGANIZATION MANAGEMENT- This has significant advantages including two. As Agent, you not only have the overview of the tickets a customer but additionally the overview of the entire organization. For example, about the search for the organization, open them by just one click. As a customer, you can see their tickets with colleagues and edit (if the organization is a “sharing”, this allows you to set each organization as a parameter). 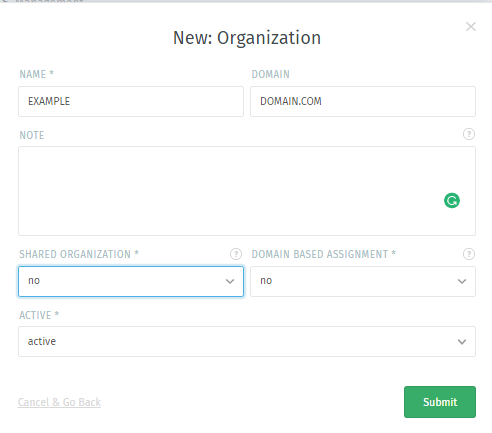 To create a new organization click on the “New Organization“. Now fill all the details. Now click on “Submit” button.